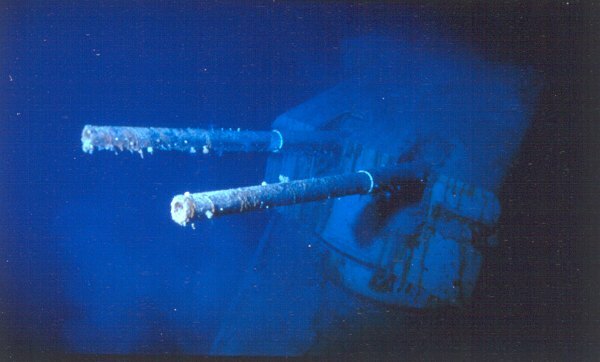 Bismarck Wreck. This is central 15-cm secondary turret on the starboard side. Photo taken in 2002 (courtesy of the Discovery Channel).